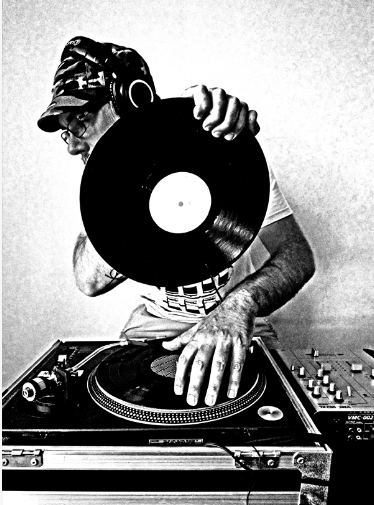 I have been playing records to people since 1989, when I was a student in Newport, South Wales. Since then, I have played in many different contexts and settings, including warm-up for bands, dancefloors, radio shows and back rooms at raves. I was resident DJ at Exeter Phoenix Arts Centre for a few years, but often away touring with a theatre company at the same time, so I set up the Jazz Wolves – a collective of like-minded DJs who could adapt to different situations. When my children were very young, DJing took a backseat to family life, and while I was living in Cardiff, I took a break from buying and playing records, but since moving to Oulu, I have begun to play again, searching for old 45s and setting up Oulu Soul Club.